In Sanskrit, Sat = true, sanga = company, satsang is often translated as ‘in the company of the wise.’ Satsang is the time our community gathers together in devotion and prayer. Start your week with a meditative focus. 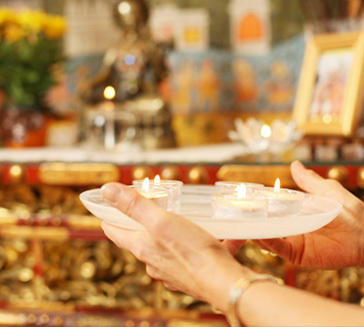 Join us in chanting, silence, prayers, and a thoughtful reading or talk.